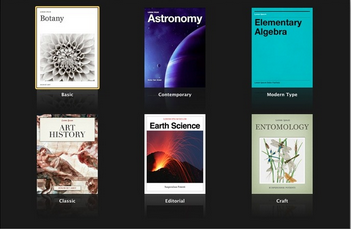 The Open Library is an open project of a collection of more than 2 million free ebooks. This project is part of the Internet Archive and has been funded partly by a grant from the Calefornia State Library and the kahle/ Austin Foundation. The Open Library is like Wikipedia but just for ebooks. Users can join in and contribute their time and effort to build the directory. The software and documentation is open for everyone. " Whether you fix a typo, add a book, or write a widget, it is all welcome. " To start using Open Library you need to head over to its main page and sign in for a free acount. 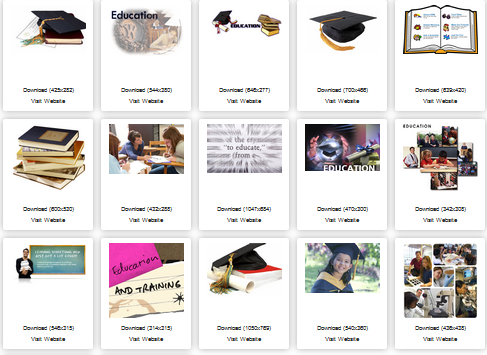 Once logged in you can then browse ebooks by subject, author, or lists members have created. You can also contribute your own new information or corrections of the catalog. If you are an author and you have a book to add then go ahead and click on " Add A Book " button on top of the page and add your work. Open Library is really a great resource of reading materials for both sudents and teachers. I do recommend it. AudioLiterate is a new website that offers both free and paid ebooks. This is a great resource for students and teachers. The materials AudioLiterate includes are high quality and its users interface is student friendly. Users have the option to either listen to the audiobooks on the website or download them into their devices for later use. 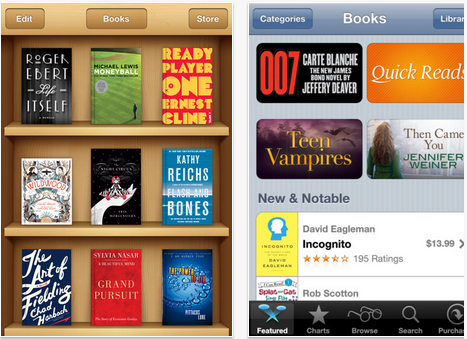 AudioLiterate has a search functionality that enables users to search for and find ebooks they want. They can use author's name, genre or listing ID to refine their searches. What is even cooler about this website is that it seperates paid ebooks from free ones. Sol when you are searching for an audio book you will have the choice to either fetch results from the paid pages or just free ones. I do recommend this website to teachers and students. Head over to Audioliterate and give it a try. Alphabetimals is a cool website. It allows its users to learn alphabets in such a funny and easy way. Alphabetimals is a compound word made of two terms: Alphabets and Animals. This website has been designed with the purpose of teaching kids how to learn alphabets and say them correctly using a wide range of audio clips. Kids will also be abale to learn different names of animals associated with alphabet letters. For instance, the letter E is associated with Elephant ...ect. Alphabetimals also provides its users with the ability to listen to the sound of each animal that is associated with a certain letter.There is also a humourous typer down the page that writes your words using the Alphabetimal Characters where each chacter is represented with its respective animal. Overall Aplphabetimal is a great site for teachers. They can use it to teach their kids both alphabets and animals. It is user friendly and has so much appealing colours and materials that your students will love for sure. Give it a try. StoryBrd is a nice website that allows kids and parents to create their own story books online. This service is free up to this moment and all it requires is a quick sign up. Besides enabling users to produce digital stories of their own, StoryBird features a section that is called art gallery where users can have access to a wide range of artworks to use and embed in their stories. StoryBird also lets its users create their own community of readers by reading others' works and commenting on them. Additionally, the stories can be shared publicly so that everyone can see them or be shared privately with a restricted group of users. Teachers can use this website to encourage their students to write their own stories and rate each others writings and probably give gifts to the best stories. StoryBird is a great site to nurturing creativy and imagination. Head over to StoryBird and give it a try. StoryLine is a great website that reads out stories out loud for kids and beginners.It is one of my favourite story telling websites . It is partly free and has several stories recorded in audio and video with each one of them being read by someone. StoryLine can help in improving kids pronunciation way better than many other tools you might be using.I have been tweaking around with some of its features and just found it awesome. It has a quick loading time and offers a good user interafce that is full of shining colours to attract kids attention. There is a wide range of stories to choose from and once you find the one you want to listen to you can then select which internet connection you have whether it is small , medium and large then you hit play and there you go. What is even cool about this website is the accompanying activities each audio has. Kids will have post and pre listening questions to answer which is a sort of comprehension check. Reading Bear is a great educational project propelled by Wikipeida's co-founder Larry Sanger that aims to teach kids about reading and concepts of the English language. This is a good initiative towards helping language teachers and providng them with a resource of high quality materials. Reading Bear includes a wide range of varying media materials for kids. 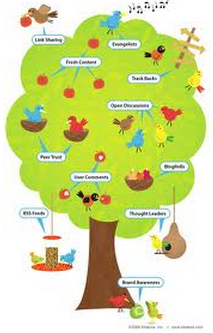 Kids love to learn through media and they are more motivated when visual aids are integrated. It even becomes easier for a kid to learn new things when they are presented in pictures, presentations, and sound clips. There are several interactive quizes in the website. Students can work on them before they check correct anwser at the end. There are also around 14 presentations but Reading Bear is planning to increase it to 50 soon. I think this is a website you should try with your students. 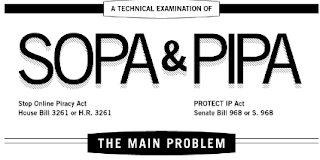 SOPA and PIPA are officially tabled now. Yes a big sigh of relief , the internet was just a step away from a smothering censorship. The house of Senate in USA was about to discuss a possible enactment of the SOPA ( Stop Online Piracy Act ) and Protect Intellectual Property Act ( PIPA ) propsed by the huge media corporations such as Comcast, News Corp, Disney, Universal Music, Warner Music, Paramount Picture,.etc.The unfair monopolisation of the audio visual field by these media gurus together with their unimaginable gains have been seriuosly threatened by the democratization Internet brought about. The masses now are digitilaly free and they have free and unlimited acess to all kinds of materials without having to pay anything and all at a single click. This has madened these media monsters and wanted to exerce some pressure by paying for some senators to try to raise the issue of piracy and all that buble. Nobody believes them anymore . 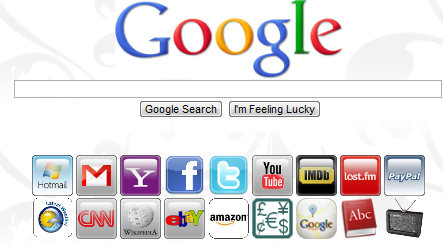 Google Image Ripper is a web tool that allows its users to search for and download images. It is not associated with Google in anyway except that it uses almost the same search algorithm. Google Image Ripper "improves on the existing Google image seach tool by allowing you to safely and easily search through the results as thumbnails and also offers a gallery of full-size images without having to surf to each website." Performing an image search using Google Image might look bloated and slower compared to Google Image Ripper. 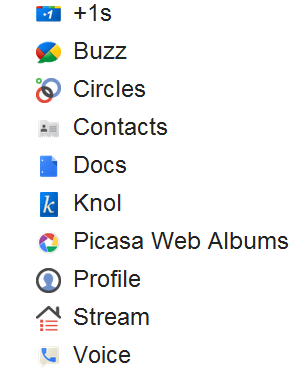 What I really do not like about Google Image is the fact that you always need to go to the source website and click on the full image to see it all or download it. I know this is paying credit to the source but adding their links under the image is all it takes. Imagine you want to download several images, you will spend a lot of time just going in and out of the search page and the website. Google Image Ripper works on this and provides you with search results in a minimalist layout display featuring thumbnails with a download link so you do not need to leave the seach page to download the link. All my Books is a personal data base software that allows its users to store, and organize their ebooks right in their desktop.Internet is ripe with free ebooks and PDFs and you might have already amassed a number of them in your hard drive. The thing is when you do not organize these ebooks they get stored in places you might easily forget. Sometimes you want to check an ebook that you have installed somewhere on your computer but feel lazy to go around looking for it. 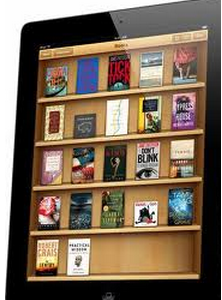 With All my Books, every ebook will be available in clean organized shelves that will pop out at your eyes the moment you open the software. All my Books is a kind of a library on you desktop where you can organize your ebooks.The only thing with this software is that it did not come completely free and you will have only a 30 days trail period after which you need to pay $39 to get it. I think if you like the service and have the means to afford it then It is really worth it. To start using All my Books you need to head over to its main page and download the software. Once installed you can then start uploading your ebooks from your hard drive.For every ebook you uploaded , you will need to provide its title, binding, number of pages, etc.You can even add your own categories and fields to make it easy for you to organize your data.When you want to look for an ebook you have already stored in All my Books , you will just type in its title and there you go. If you are looking for free educational ebooks then check out The List of Websites where to Download Free Edooks. Soapbox is a new beta web service that allows teachers to get their students engagement and develop their interaction. Saopbox provides a platform for the presenter's audience to give their feedback and participate in the discussion in real time. With Soapbox " speakers are able to transform traditional lectures into lasting conversations by integrating audience thoughts and opinions without any interruption." Head over to Soapbox and give it a try. 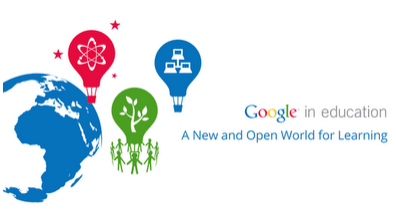 Google has recently released a great resource for educators everywhere. It has amassed all its education programs from primary school to university as well as a suite of free and open tools that " reach families and classrooms around the world" into one place called " Google in Education: A New and Open World for Learning ". This new and all inclusive booklet from Google is meant to highlight how Googlers all around the globe are using Google products to enhance and develop teaching and learning. It covers debates and subjects ranging from physics to fiction. I personally see new this move as a simple reaction from Google towards Apple,s latest releases which are mainly iBooks and iBooks Author. Geoole is feeling a strong competition coming from Apple in the domain of education and is now trying to shift this focus towards it services and we wont be surprised if we hear about new releases from its education department in the near future. Anyway, we do not care who competes against whom and all we want is a good service that lives up to the educational needs of this digital era. Google 6.2 is the latest version of Google Earth released yesterday ( 26/01/2012). This new update has several new features that improve the overall viewing experience of its users and lets them virtually explore the globe in new intuitive ways. It provides seamless imagery with an advanced search functionality that never existed in the old versions. 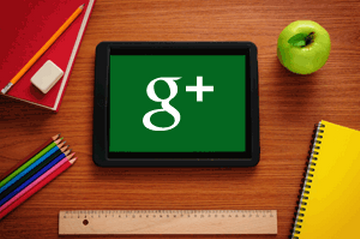 Google 6.2 has also introduced for the first time the ability to share images from withing Google Earth using Google Plus. The following are some of the new features you will find in Google Earth 6.2 once you start using it. Images are no more patchy. Google Earth 6.2 uses a sophisticated technology to provide a refined imagery that " preserves the unique textures of the world s most defining geographic landscapes". 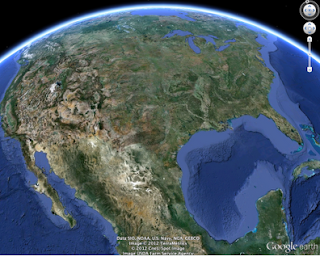 It allows its users to share a screenshot of their current view in Google Earth via Google+. To use this service just log on to your Google account in the upper right hand corner of Google Earth and click " Share ". It offers the autocomplete feature to its search functionality with several search layers showing all the relevant search results and not only the top ten as used to be before. Google Earth 6.2 has also added biking, transit and walking directions. Download Google Earth 6.2 and start exploring the world. The World Map is a great service provided by the Centre for Geographic Analysis ( CGA ) at Harvard univerrsity. It allows users to publish, explorre, edit, and visualize geographically referenced information. World Map is easy to use and can be a great help especially to Geography teachers but everyone else can use it to present visually appealing mapped data. Woreld Map stores more than 1800 data sets for users to use. These data sets are accompanied in most of the times by illustrations and explanations on how to use them. Users also have the option to upload their own data sets and customize their maps the way they want. Once finished, you can then embed your map in your blog or website, print it out, or view it in Google Earth. Watch this video to learn more about World Maps. Head over to World Maps and give it a shot. ActivePresenter is a cool web service. 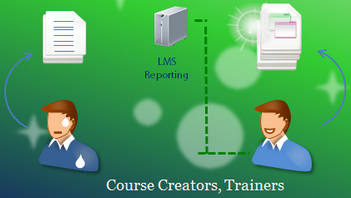 It is a screencasting software that allows its users to record everything that is displayed on their screens. I am adding this tool that I have just discovered to the list of Free Screen Casting Tools I have been compiling here. Screencasting services are great tools for educators. They can be used to create awesome tutorials and presentations. I know most of these tools are not free but at least we have a bunch of free ones now in our hands that we can use to do many things. ActivePresenter has two versions one is paid with many more features and the other one is free with less features. We can content oursleves with just the free version for it is generous enough. Facebook Video Player is, as its name suggests, a chrome extension that allows its users to play Facebook videos without having to put their Facebook browsing to pause. What actually happens when you want to watch a video on your wall is that the moment you start playing it, you can no longer scroll down or up because you will not be able to see the video. This is a feature that bothers many users and I am one of them too. I do not like to spend several minutes doing nothing but watching a video, sometimes the video is only audio and does not really deserve that pause. If you are a Chrome user which I hope you are given of the importance of Chrome, then you will no longer have to paralyse al your Facebook activity to watch a video. 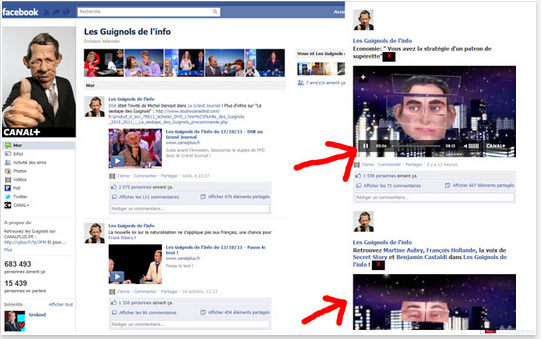 Using Facebook Video Player will enable you to both watch a video and scroll down through your Facebook posts. After you install the add-on and restart your browser. You will see that any video you will play within Facebook will be shifted to the right pane away from the centre posts section.Go ahead and check your posts while the video is up there playing. I think you might be in need of such a tool too. Head over to Chrome store and install Facebook Video Player. Drawpr is a cool website that allows its users to upload and share their documents with friends and colleagues. This is a tool I have just discovered and I am adding it to the list of free File Sharing Tools I am collecting in Educational Technology and Mobile Learning. Drawpr is free and easy to use. It offers an empty bucket that can be filled with docs and files. Users can just drop and drag their docs into that bucket and this latter will generate a link for them to share with others. The uploaded files can remian in the bucket for up to 28 days after which they will be removed if no action was done. Users can benefit from the services of Drawpr without even being signed up but in case of registrations, users will be able to host their files for a longer period and they can also have much freedom in managing their docs and files the way they want. Head over to Drawpr and give it a try. The world is going mobile and so teaching and learning. We no longer talk about the use of only " traditional technology " ( computers and laptops ) in education for this is taken for granted but there emerged a growing need for the use of smart mobile technology. The majority of students now use a mobile device of some sort. Stats show that 95 of k-12 students in the United States own a phone.In fact these numbers are not surprising for we have a direct contact with students and we know exactly how much they use their phones and how excited they get to check out their phones the first thing when they have their break. Educational Technology experts and curriculum designers are shifting the focus towards levelling this mobile technology into our classrooms. The move is still decent but promising. I said promising because we strated to see signs from the prominent world companies like Samsung and Apple trying to gear parts of their technology towards education. Just recently, Apple has announced the release of iBooks 2 and iBooks Author that are considered to be the start of a digital textbook revolution. With all these developments going on you might be asking yourself which mobile gadget I should get for myself to keep me swimming with the current. This is a hard decision to take alone especially that most of you are educators and not mobile technology experts. Anyway, there is always someone to hep. I am a teacher sharing with you the same pedagogical background but I am also a web2.0 and mobile technology researcher. I have recently launched a website, The Best of Mobile Technology, that is designed specifically to cover all the news, tips and reviews of the latest things in the mobile sphere.So being able to combine the technical part together with the educational background I think I know exactly how to help educators in their daily endeavour to implement technology into their work. In this regard I will be posting a series of articles to help teachers make their best decisions when it comes to what mobile gadgets to look for. Today's post is the first one of its kind to cover Tablets and will hopefully help you answer the question which tablet to buy. In The Best of Mobile Technology, I have a section there called Tablets Review where I make reviews of the best Tablets out there in the market and from this section I am selecting you this list of the best ten tablets. Just keep in mind that for you to get a good tablet you need to always look into features such as : screen size ( 10.1 inches is the best ), The micro processor power in GHz the bigger the better, see if it is a dual core or quad core with the last one being the better, camera pixels, and video power that is calculated in pp, USB port, kind of operating system it runs....etc. I know the design is not a big deal for many people but yes you can also take it into account. Here is a list of the best Tablets. Click on any title to read the entire review. I ordered the tabs according to their importance. If you have suggestions or questions feel free to contact me and I will be glad to give a hand. Reminder Guru as its name suggests is a web service that allows users to get reminders. I know probably most of you use reminders of some sort to mark important events and remember crucial dates be it on the computer, smartphone or calendars but Reminder Guru is completely different from the tools you know. 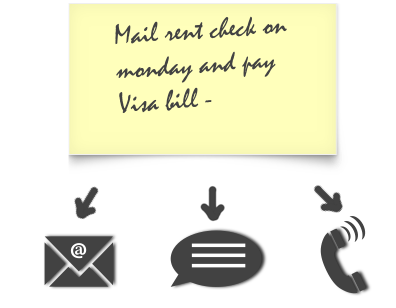 It lets its users get reminders through phones via text messages or in the form of an email to their inbox. Reminder Guru is free and easy to use. Just head over to its main page and sign up with them. Once you are signed in you can start setting your options to create a reminder. You can choose whether you want the reminder to be a one time deal or recur on a weekly, monthly or yearly basis. The next thing you do is to provide your email address and phone number. You will be then directed to select the way you want to get your reminder . you can choose from three ways : through email, a text message, or a phone call. There is a security code that you will have to type in to finalize your reminder. Reminders can be viewed and easily deleted from your account anytime you want. Head over to Reminder Guru and give it a shot. In an anwser to the emails I have been recieving lately from teachers asking for free tools to organize and schedule their meetings , the following article will helpfully provide some of these tools. Just go ahead and compare them and you will probably find the one you feel at ease working with. I can not say which one is the best for they are all great and they more or less perform the same job. Wiggio makes group work much more easier as its easy and straightforward design provides everything you need to work productively in your groups. It is simple to use and has a very nice and flexible interface that makes it easy for students, parents, and teachers alike. this is another free tool that allows its users to create online sing up forms and volunteer scheduling. It does not require any registration or software installation. Just go ahead and give it a try. Sign App Now is a great application that lets users create simple and easy sign up sheets. It has two versions one is free and one is premium with 5 dollars a month. I think the free version is enough for you and has the basics of making a sign up sheet. I see there is a lot of interaction with the infographics I post here and that proves that you like the visually appealing posts. I do too and I think most of the people like to learn visually. Your students would love to have visual aids integrated into their classroom . It will drive off some of the boredom that looms around and would give life to group work activities. I have been covering several infographics in Educational Technology and Mobile Learning. All of these infographics are educational and can be used in classrooms. The following is a list of some of the most important infographics that you need to bookmark and share with your colleagues and students. First here is a short video featuring the importance of Infographics in education. Magma is a great video platform. It aggregates the most popular videos from all around the web into one single page. No more going around looking for videos in various websites Magma does the job for you. Magma , like YouTube Trends, Tilt View and Newsy, depends on a wide range of resources to enrich its content. It actually features 100 popluar internet videos from some video sharing sites such as YouTube, DailyMotion, Vimeo, Hulu and many more. Magma stands out fron the pack by using some unique features such as featuring videos not only from video sharing platforms but also from popular social networks like Twitter, Digg, Delicious, Stumble Upon etc. 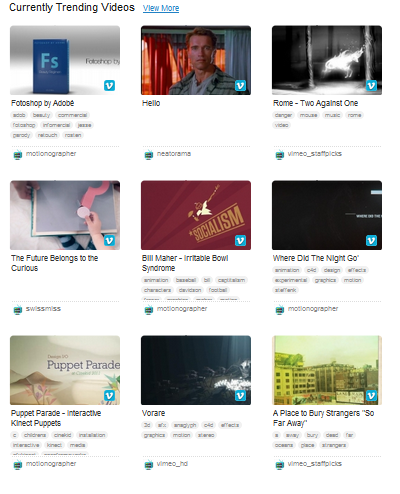 All the videos on the homepage are neatly organized under different blocks and into easily browseable categories. If you want to be able to create your own dashboard of videos where you can add videos and interact with other members of the community you can then sign up with them . You can also use their bookmarklet to save videos you like. Head over to Magma and give it a try. Mowid is a cool YouTube video discovery engine. It facilitates your video search and brings you the best results. 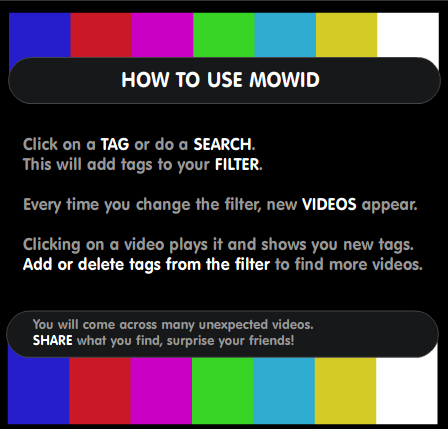 MoWid provides a unique way of exploring new videos on the web by using a tagging system. There are a number of tags that shows up on the screen as soon as you access MoWid homepage. You can use a combination of these tags to get the videos you are looking for. This is a smart way to search for videos and it proves its usability since the first try. To navigate for video, click on the scrolling tags to add to your filter and get a list of videos. More videos will show up as you mix and combine more tags. The videos provided are all from YouTube . Newsy is a good website for people who like to keep track of the latest news events in the world. Some people do not like reading news but rather prefer watching it and Newsy can help them do just that. 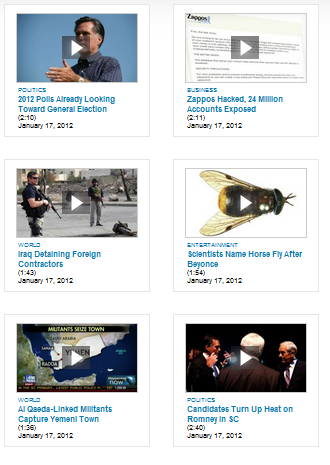 It aggregates news videos from multiple sources and stream then on its homepage. Among the sources Newsy depends on in fetching its news stories are : BBC, CNN, ABC News, Aljazeera and several others. 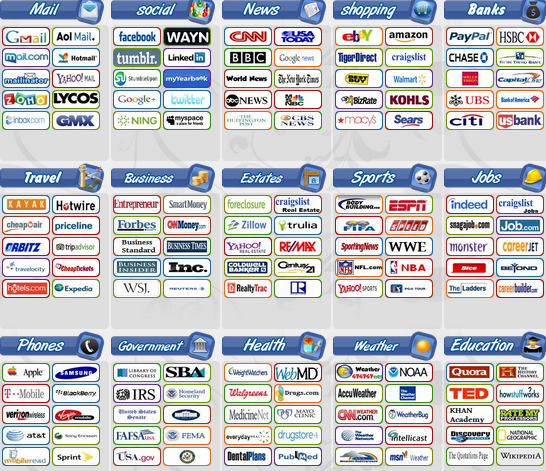 You can access videos from all these channels right from a single page. You can either watch videos at random or sort them according to the category or tags such as the most popular, the highest rated or highest commented. What is really nice of Newsy website is the fact that above each video you will find the news sources and below it user comments, and text transcript of the video. It also allows its users to share the videos they watch either using an embeded code or via different social media websites. YouTube Trends and TiltView are other similar tools that might interest you as well. Head over to Newsy and give it a try.